The Indian River baseball team won their third straight game with a 7-6 win over Smyrna on Tuesday, April 2. After a disappointing 3-2 loss to Polytech to open the season, the Indian River High School baseball team has been locked in and on a bit of a roll over the past week. Tuesday afternoon saw the Indians win their third straight, with a 7-6 decision over visiting Smyrna. Over the past three games, the Indians have been playing the part of the “Cardiac Kids,” so to speak. After narrowly defeating then-No. 1-ranked Dover last Thursday, March 28, 10-9, IR then held off a huge late rally by Woodbridge in a 19-15 road win over the Blue Raiders. That makes for three games decided by a single run through their first four contests of the 2019 season. “Young guys are stepping up here,” manager Derek “D.J.” Long said after Tuesday’s game. “We still have plenty to fix defensively, though. We are putting balls in play, bunting more, and just putting more pressure on the opposing defense to make plays. We got a great outing out of [Tyler] Bowen,” he said of Tuesday’s performance. In the win over Smyrna, sophomore Bowen covered four innings, allowing three runs (two earned) on just three hits, with seven strikeouts. Junior Chase Hall picked up the win in relief with 1.2 innings of work, while Kris Medford worked out of a spotless 7th inning to pick up the save. Kyle Firle went 2-for-3 for IR with a double, two RBIs and a run scored. Ryan Foxwell also chipped in with a multiple-hit effort to go along with a RBI and scored a run. 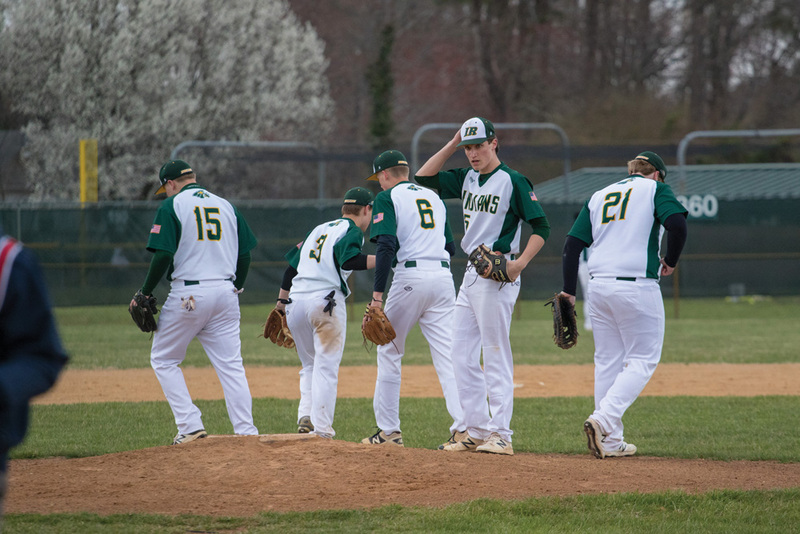 In the win over Woodbridge, the Indians jumped out of the gates with a six-run first inning before adding two runs in each of the second and third innings. They appeared to put the game out of reach with a six-spot in the fourth, taking a commanding 14-6 lead, but the Blue Raiders would not go away quietly, marking two of their own in the fifth before their seven-run rally in the seventh came up short of a successful comeback. Six different Indians collected two hits each in the game, with Firle, Grant Argo, Michael Meehan, Tyler Bowen, Chase Hall and Ian Shaner all with multiple-hit efforts in the IR 13-hit attack. Bowen’s two hits went for extra bases (double, triple), while Hall doubled twice as the Indians doubled seven times collectively. Firle led the way with four runs scored, while Argo crossed the plate three times, and Tyler Kramer, Hall, Shaner and River Vickers each scored two times. Argo and Shaner both knocked in three runs, with Meehan, Bowen and Hall each plating a pair. Mitch McGee was the winning pitcher, while Firle came on in the seventh to pick up the one-out save with a strikeout. Against Dover, the Indians found themselves in a 4-0 hole after the top of the first inning, thanks to a bases-loaded single, as well as a bases-loaded double by the Senators off starting pitcher Bowen. 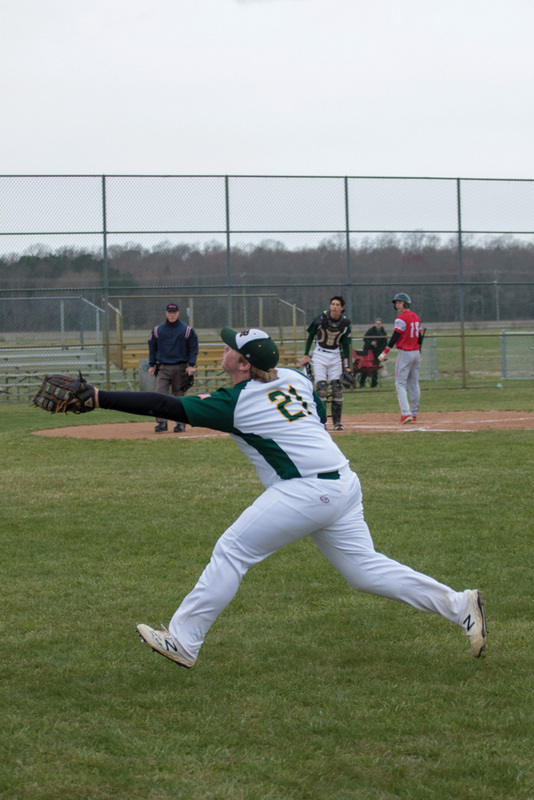 The Indians struggled to get anything going off of Dover starter Andrew Carney as they were shut out over the first two innings. IR would score single runs in the third and fourth innings before exploding for six runs in the fifth and two more in the sixth in what proved to be the game-winning runs. During the six-run fifth, all the damage came with two outs. Vickers reached on an error, and Shaner followed with a single. Derek Bellemare followed with a hard hit that caused another Dover error that then allowed Vickers to score. Firle then walked to load the bases. Kramer singled past the Dover third-baseman to score Shaner. Argo drew a bases-loaded walk, and Meehan continued the rally with a RBI-single of his own, again past the Senators’ third-baseman, to allow Firle to score. Hall came to the plate and laced a two-run single to left to tie the game at 8-8. 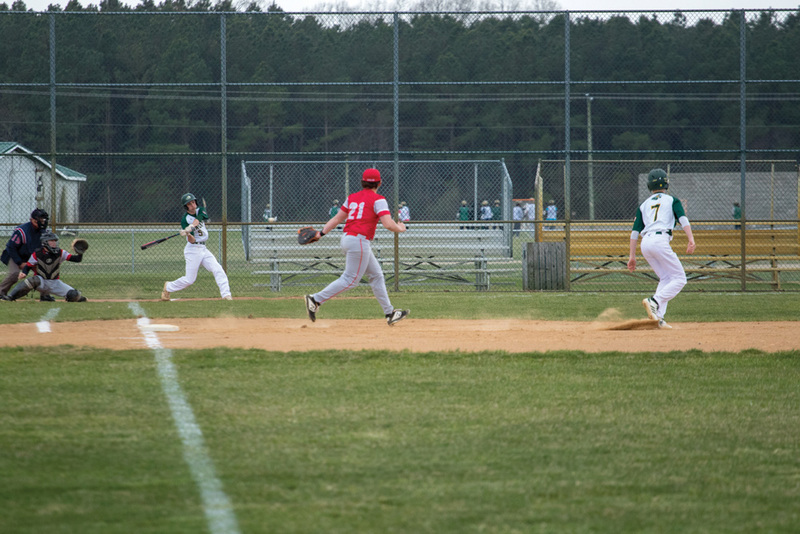 In the sixth, the Indians were able to take advantage of more defensive miscues by Dover that would lead to the game-tying and eventual winning runs. Firle was the lone IR hitter with multiple hits in the game, going 2-for-4 with a run scored and RBI. He also picked up the win on the mound in relief. Hall, who recorded the save for IR, knocked in a pair of runs as Kramer, Vickers, Shaner and Bellemare each scored twice. 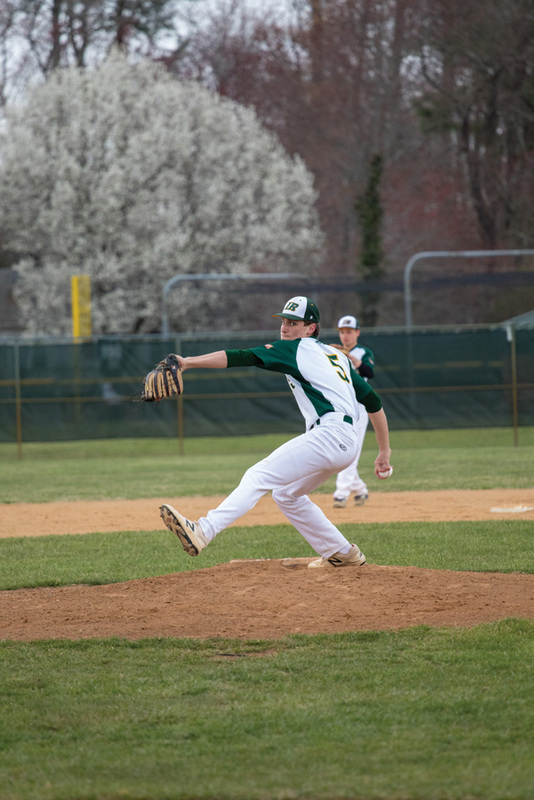 IR was set to hit the road for a game at Seaford on Thursday before hosting two perennial private school powerhouses in St. Mark’s (Saturday, April 6) and Caravel Academy (Monday, April 8). Results from the games can be found on the Coastal Point sports Facebook and Twitter pages.